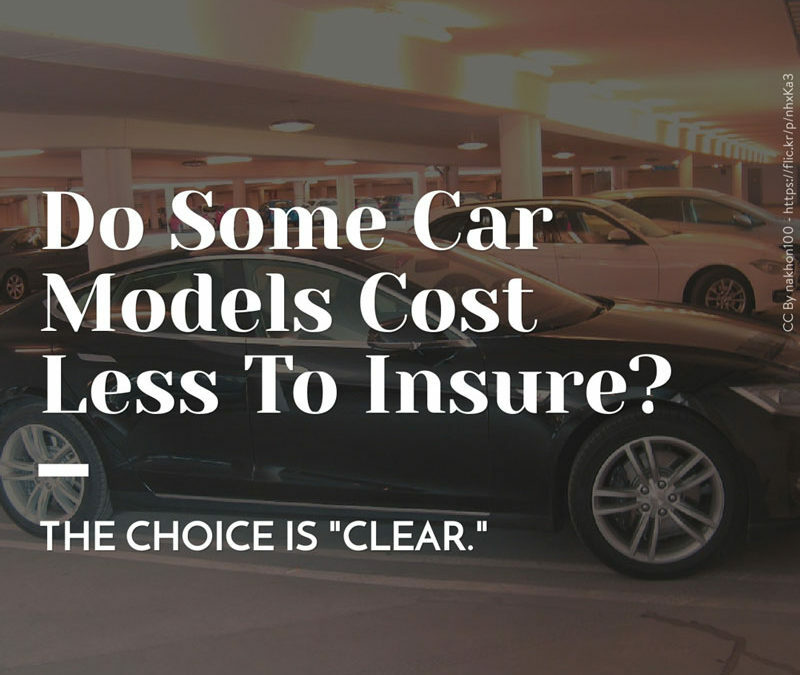 Do Some Car Models Cost Less To Insure? I am trying to save money on my car insurance. A friend says certain models of cars cost less to insure than others, even if they are more expensive to buy? If so, which cars should I consider buying, and which ones should I avoid? The choice is “CLEAR.” Your friend is correct. Insurer’s use the Canadian Loss Experience Automobile Rating system (known as CLEAR for short), in calculating automobile insurance premiums. Rather than relying on the Manufacturers’ Suggested Retail Price, the CLEAR system bases rates on each vehicle model’s claims experience, such as cost of repairs, frequency and severity of injury claims, and frequency of vehicle theft. After all, it’s only fair that the drivers of those makes and models of cars that cost insurers the most should pay more for their insurance. Therefore, if you want to save money on your insurance, you should choose a car that offers safety features, like airbags and antilock brakes, as well as anti-theft devices. Another consideration is how likely the car is to be stolen; some models are like magnets to thieves. Chances are your trusty old sedan is not a likely theft target, but it may lack some safety features that are common in newer models – there are many considerations in choosing a car that costs less to insure. The Vehicle Information Centre of Canada, which performs the CLEAR calculations on behalf of insurers, has produced a brochure called “Choosing Your Vehicle” that compares insurance rankings for cars, as well as lists safety features and anti-theft devices. Here’s how some of the recent model-year vehicles stack up. Cars whose insurance costs are “considerably higher” than average include certain models of the BMW, Land Rover, Lexus and Mercedes Benz. The insurance stars include more-conservative models, like the Chevrolet Impala, Hyundai Accent, Chev Cavalier and Buick Regal. Sport-utility vehicles, on the other hand, rank higher than average. So you’re going to pay more to insure that Jimmy or Jeep that you’ve been hankering for. Remember, the kind of car you drive is only one factor insurers take into account in calculating your premium. The others include your driving record, your location (urban or rural), and how far you drive on a regular basis. You can obtain a copy of “Choosing Your Vehicle,” from the website at: http://www.ibc.ca/en/Car_Insurance/Buying_a_New_Car/HCMU.asp. Excellent Brokerage. Have been dealing with them for 20 years. They always confirm I have the right products for my situation so I'm properly covered for everything. Did your insurance company explain to you what they chose to leave out of your quote to keep the price down? This is a awesome brokerage to work with, they're locally owned and operated and you can feel that when you deal with them. I’ve had my personal home and auto insurance here since 2012. When I first came to them for a quote they helped me find the best coverage available at a reasonable price and made it very easy to move everything over. The service here is top notch and I always feel like a valued customer.